The house is set in its own olive grove. To the front of the ‘L’ shaped property there is a marble patio area shaded by a mature vine covered terrace overlooking the lake. To the rear is a private full size swimming pool complex with fun slide and sun terraces – with pool loungers available, a patio table and 4 chairs and other poolside furniture to make yourself comfortable. 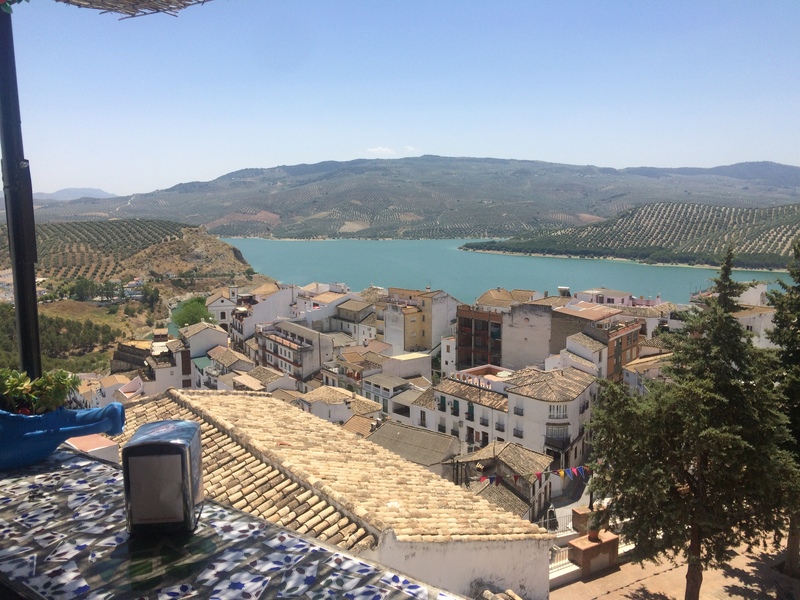 It is a perfect place for a quiet relaxing holiday or for touring the region with Seville, Cordoba, Granada, Gibraltar all less than two hours drive away. The farmhouse benefits from a large kitchen and pantry area, bathroom, lounge with Flatscreen and Sky TV, dining room, 3 bedrooms. A corridor leads to a shower room/WC and large kitchen. There is an additional shower room/WC upstairs as well as a door leading directly to the pool area. The pool complex is to the rear of the property and is fully maintained by a local agent. Free internet available as are free pool towels on request. A welcome pack is included. You have a fairly secluded property but with facilities close by.